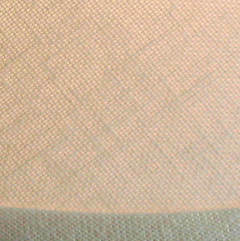 This picture shows a close-up view of the Linen shade fabric as it looks on a lit lamp. Our shades are made of a heavy linen in a light cream color. It is almost white, as shown in the photograph.